Dustin Johnson, reigning U.S. Open champion and current No. 1-ranked golfer in the world, might have to miss this weekend’s tournament after he suffered a back injury at his rental home in Augusta, Ga.
His agent released a statement, saying that Johnson fell down the stairs and landed on his back. He’s laid up on the couch and it’s unclear whether or not he’ll play tomorrow. This is somehow the second freak back injury Johnson has suffered. In 2012, he had to withdraw from the Masters after he tweaked his back while lifting a jet-ski. 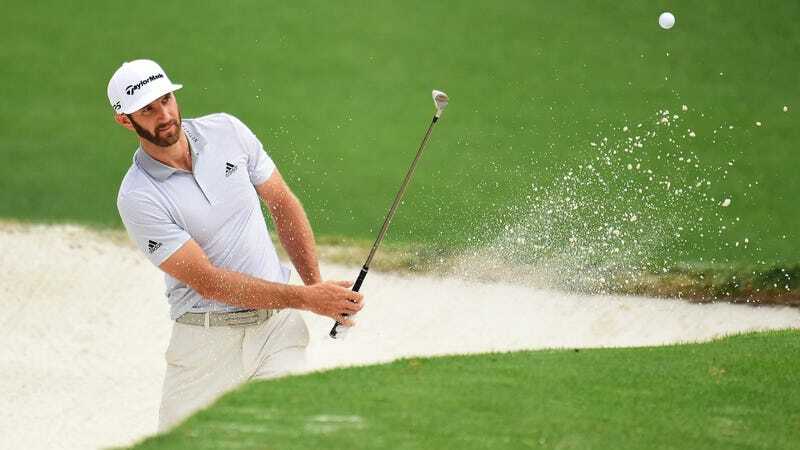 Dustin Johnson Takes Leave Of Absence To "Seek Professional Help"